“Long run is a misleading guide to current affairs. 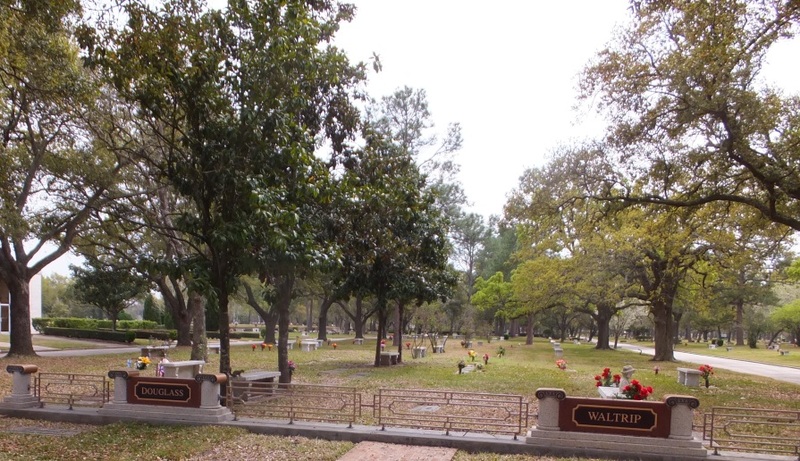 Located in west Houston off of winding Memorial Drive, this beautiful cemetery has numerous native species of trees including pin oaks, post oaks and live oaks as well as southern yellow pine and long leaf pines. Memorial Oaks is a garden style burial ground. Throughout its shady location one finds fountains, flower gardens and manicured green spaces. Other features include a funeral home (added in the early 1990s), Chapel of the Oaks, Fountain of Life and Garden of Peace. 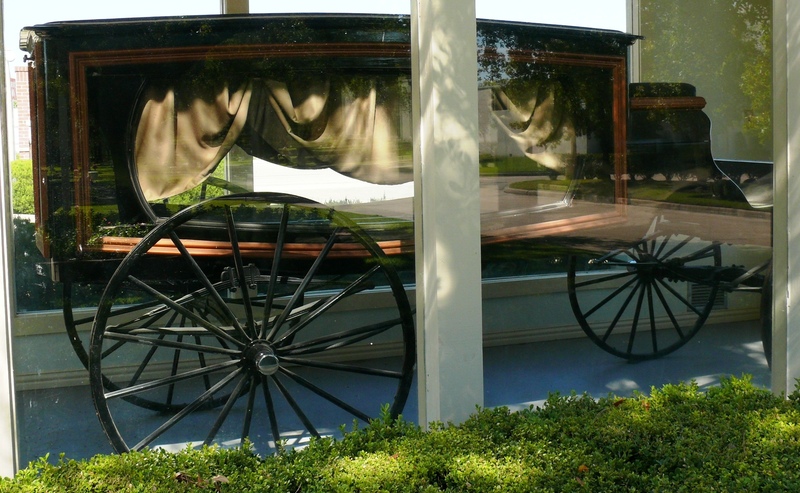 As one enters Memorial Oaks there is an 1867 horse drawn hearse in a glass structure. Management believes that this historic vehicle was used as late as the early 20th century. A number of famous Houstonians rest here including a U. S. Congressman, football coach, professional wrestler, Watergate prosecutor and a roller skating champion. Ankenman, Frederick Norman “Pat” (1912-1989) – Pro Baseball Player – A native Houstonian he played college baseball at the University of Texas. Ankenman played second base and shortstop in the Major Leagues. His career was rather short as he played in only 15 games with three teams – 1 with the St. Louis Cardinals (1936) and 14 with the Brooklyn Dodgers (1943-4). In the interim Ankenman labored in the Minors. He may be remembered as an owner of Ozark Boys Camp, a summer baseball camp in Mt. Ida, Arkansas from 1953 until 1984. Marks attended the camp in 1952. His baseball career was shorter than Ankenman’s – no games for any team. Borba, Joy Glenn (1934-1982) – Former Mrs. America – Borba was born in Houston. In 1966 she won the Mrs. America Pageant that was founded in 1934. By 1964, participants were graded on cooking, sewing, ironing, party preparation and other homemaking abilities, family psychology, grooming, poise, personality and general attractiveness. 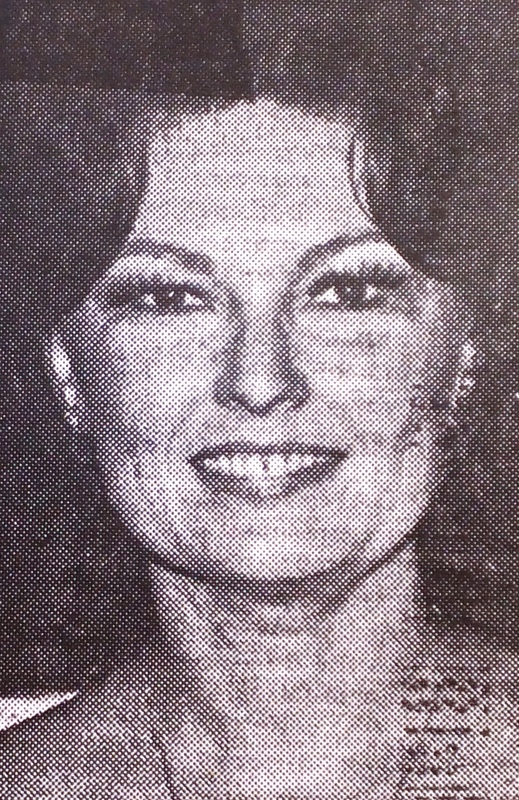 Following her reign in 1967 Borba hosted the Joy in the Morning and Joy at Noon on Houston’s KHOU-TV until 1973. Bradley, Richard Lee (1915-2004) – War Hero – He was born in Mississippi and graduated from Mississippi State University. Bradley joined the Army during World War II and rapidly rose to the rank of Lieutenant Colonel. As Commander of the Reconnaissance Battalion he led the “Spearhead Division” of the Third Armored Division from Normandy into Germany. Bradley fought at the Battle of the Bulge (1944), liberated the Nazi concentration camps of Nordhausen and Studhausen. He was severely wounded on several occasions. Bradley was awarded numerous medals for bravery by American, Belgian and French governments including the Silver Star, Croix de Guerre and several Purple Hearts. Following the War he returned to Houston and began a long career in the investment business. Chu, Chieh “Jay” (1922-2003) – Inventor – He was a native of China and lived there during very troubled times including the Civil War and World War II. During that conflict Chu was an interpreter for American forces fighting the Japanese in China. He visited the U. S. in 1953 and returned in 1958 where he earned a PhD in chemical engineering from the University of Wisconsin. Chu taught at UCLA before moving to Houston and joining the Getty Oil Company in 1972 as a senior research consultant. He is credited with inventing ways to produce oil in fields that were considered uneconomical such as Kern River, California and Indonesia. Chu authored more than 30 technical papers about oil drilling techniques. He is a direct descendent of the 12th century Chinese philosopher, Chu Hsi, a neo-Confucian who melded Buddhism and Taoism into Confucian thought. “Jay” was also an accomplished painter. Cornelius, C. Sterling (1922-2003) – Nurseryman – This Texan’s parents and brother founded Cornelius Nurseries in Houston in 1935 and still exists today. Sterling joined the U. S. Navy in 1941 and served as a 1st Class Torpedo Man until the War ended in 1945. He developed an interest in politics and served as campaign manager for Louis Welch (See Brookside Cemetery – Welch) who served five terms as Houston Mayor. Cornelius joined the family business and served in many important offices including President of Houston Landscape Nurserymen’s Association and President of the Texas Association of Nurserymen. The latter group twice awarded him the ARP Award for the most outstanding contributions to the Nursery Industry. Couvillion, Urban (1919-2003) – War Hero – This Houston native was raised in the Heights. 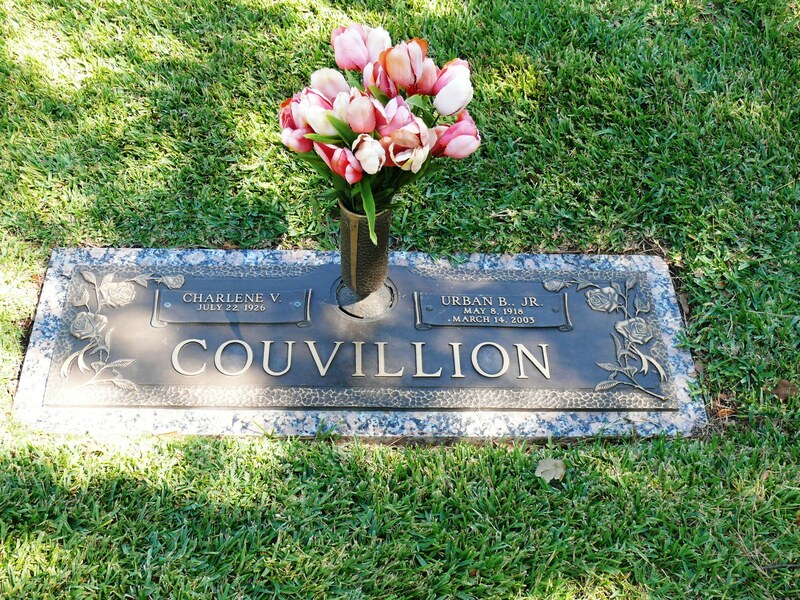 In 1942 Couvillion enlisted in the Army Air Corps and received his training at Ellington Field just south of Houston. He served in the Pacific Campaign during World War II and saw action in Guadalcanal, Philippines, Rabaul and Papua New Guinea. Couvillion flew C-47 transport planes carrying supplies and troops as well as ferrying wounded servicemen from hospitals in the Pacific to the United States. During the War he flew an astounding 146 missions, logging 824 hours. For heroism he was awarded the Distinguished Flying Cross and an Air Medal with seven clusters. Following the conflict he held several positions in Houston businesses. 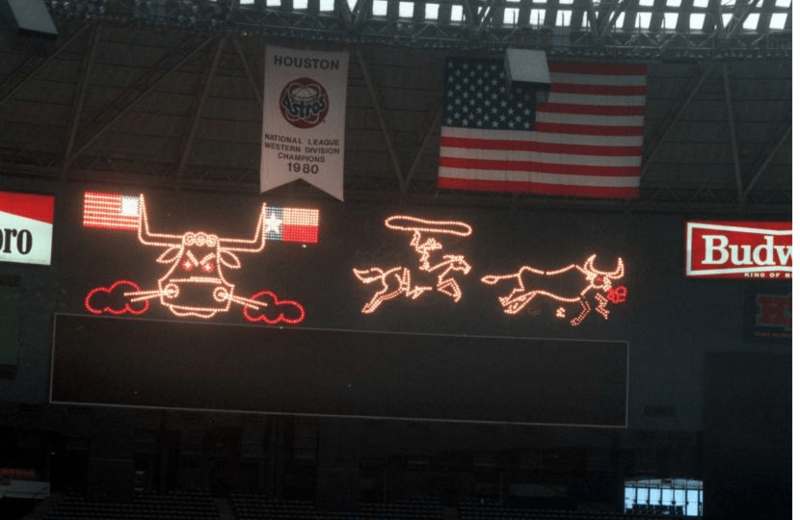 The most interesting being his time at the Federal Sign Company where Couvillion was a manager installing the world famous animated scoreboard at the Astrodome with its bucking broncos, cowboys and snorting bulls. Cutrer, Lewis Wesley (1904-1981) – Houston Mayor – He was born in Mississippi and earned a law degree from Old Miss. Cutrer moved to Houston in 1928 where he practiced law for two years. He was named assistant city attorney (1929-33), city attorney (1941-7) and general counsel for the Houston Independent School District (1955-6). 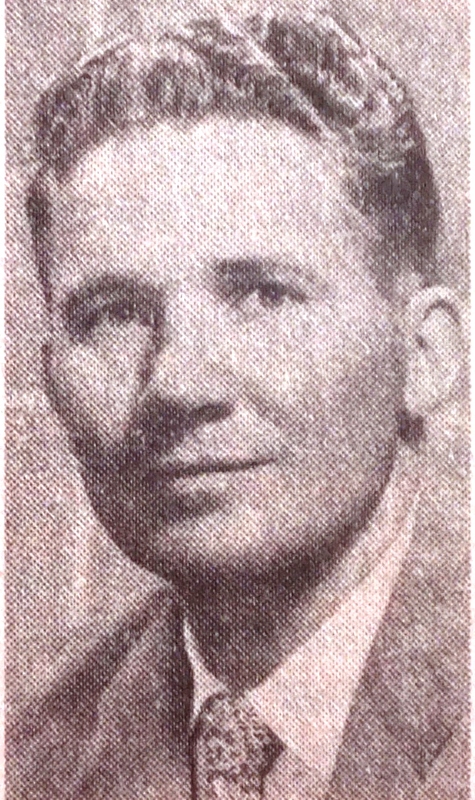 Cutrer ran for mayor in 1957 and defeated longtime mayor Oscar Holcombe (See Forest Park Lawndale – Holcombe). 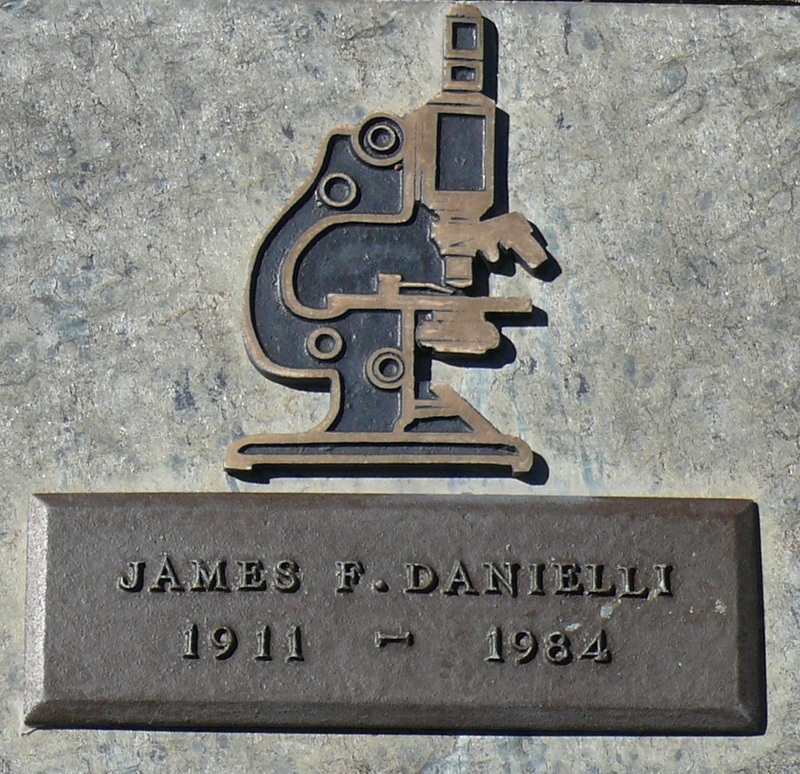 He was re-elected in 1961. During that term Cutrer accomplished two of his major projects – the construction of Lake Livingston (to dramatically increase our water supply) and building the Houston Intercontinental Airport (now Bush Intercontinental Airport.) 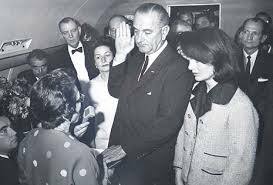 He ran again in 1963 but was voted out of office as citizens saw their water bills rise because of the Livingston project and had no vision that Cutrer had solved Houston’s chronic water shortage problem. In addition, he ordered the end of racial segregation at lunch counters, swimming pools and city buildings. Evers, Walter Arthur, “Hoot” (1921-1991) – Major League Baseball Star – He was born in Missouri and played college baseball at the University of Illinois. Evers was a star player and was quickly signed by the Detroit Tigers in 1941. His career was put on hold as he joined the military during World War II. 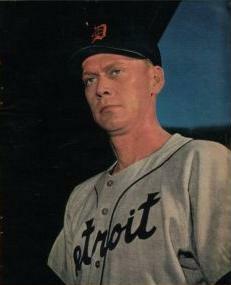 Evers rejoined the Tigers in 1946 and played outfield until 1952 and again in 1954. It was during this period (1948-50) that he played his greatest ball. Evers hit over .300 each year, led the league in triples with 11 in 1950, 34 doubles and 109 runs batted in. In addition he was a terrific fielder. That year he had a .977 (out of 1.000) fielding percentage and posted one error in 325 catches. He was an All-Star in 1948 and 1950. Age began to catch up with “Hoot” and he was traded several times including Boston Red Sox (1952-4), New York Giants (1954), Baltimore Orioles (1954-6) and Cleveland Indians (1955-6). However, Evers had a great career with 1,142 games played, 1,055 hits, 556 runs, 96 homers, 565 runs batted in and a career batting average of .278. His nickname “Hoot” came from his childhood fascination with western movie star Richard “Hoot” Gibson who filmed 75 movies by the time Evers was 10 years old. Hawthorne, Elaine L. (1928-2003) – Champion Roller Skater – She was born in California and spent her early years in Los Angeles where her mother was an avid fan of roller skating. Hawthorne fell in love with the sport and competed most of her life. She moved to Texas and skated competitively until she was 73 years of age. When Hawthorne was 72 she had the upper lobe of one of her lungs removed. Her doctors said she would never skate again. Wrong! Hawthorne went on to win numerous competitions and awards in her age group that year, finally retiring a year before her death. In addition to her skating prowess she was an award winning seamstress and designed award winning baton twirling and roller skating costumes. Hernandez, Gino (1957-1986) – Professional Wrestler – A native of Dallas his birth name was Charles Wolfe. Hernandez moved to Houston with his family and attended Spring Branch High School. Upon graduation he entered professional wrestling, following in the footsteps of his stepfather who was an international star in the ring. 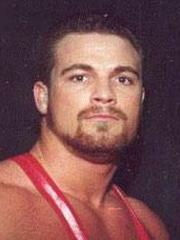 Hernandez was very successful in his career in the World Class Championship Wrestling league (WCCW.) He held many titles including: WCCW American Heavyweight Champ (three times), WCCW Texas Heavyweight Champion (six times) and WCCW American Tag Team Champion (four times.) A handsome lad he dated Farrah Fawcett for a while. He once wrestled in the Cotton Bowl in Dallas in front of a crowd of 25,000 fans. Hernandez death was mysterious. His decaying body was found in his bedroom. An autopsy showed he died of an acute cocaine overdose (eight times the amount for a fatal dose.) Rumors say Hernandez’ demise was a hit job. Hill, John Robert (1931-1972) – Doctor & Murder Suspect – Hill was involved in one of the most sensational and complex murder trials in Houston history. On March 19, 1969 his wife, socialite, horsewoman and daughter of wealthy oil man Ash Robinson, died under suspicious circumstances. Few clues were found but due to pressure by Robinson on Houston Police, Hill was finally charged with murder by “withholding medical attention” in February 1971. The doctor engaged Houston’s most famous criminal lawyer, Richard “Racehorse” Haynes, as defense counsel. The end result was a mistrial. A retrial was set for 1972. However, on the night of September 24, 1972 Hill was gunned down at the front door of his mansion in River Oaks. Two women, Lilla Paulus and Marcia McKittrick, were eventually convicted of arranging a hit job on the doctor. However, Houston Police were convinced the plan came from Robinson. But there was not enough evidence to charge him. Texas author Tommy Thompson wrote a great book, Blood and Money, about the case. A review called it tale of … “ many themes: greed, violence, abuse of power, a vengeful old man’s obsessive love for his daughter, a doctor’s turbulent quest for acclaim, a prostitute’s tragic liaison with a fledgling assassin.” Check it out. Jaworski, Leon (1905-1982) – Watergate Prosecutor – He was born in Waco. Jaworski was a child prodigy, graduating from high school at 15, went to Baylor University before going to Law School there at 16, graduated at 18 (first in his class) and was the youngest person ever admitted to the Texas bar at age 19. In 1929 he joined the Houston law firm of Fulbright, Crooker, Freeman & Bates and at age 24 became a full partner. Jaworski fought in World War II and became chief of the war crimes trial section of the Judge Advocate General’s Corps prosecuting Nazi war criminals. He served on the Warren Commission investigating the assassination of President John F. Kennedy. He opened his own law firm and by the 1970s it was the largest practice in America. In 1973 he was named independent prosecutor of the Watergate affair that ended with the resignation of President Richard M. Nixon who was facing impeachment. Jenkins, Lucille Monette (1914-2003) – Entertainer – A native Houstonian she graduated from Reagan High School in 1932. In the early 1930s she, her sister Cleone and a neighborhood girlfriend Mary Treadway formed a musical trio named the Melody Lasses. They performed at churches, schools and later at larger venues like the Metropolitan, Majestic and Loews movie theaters on Main Street downtown. Each woman had a signature song and Lucille’s was A-Tisket, A-Tasket, a popular tune at that time. The trio once went on a national coast-to-coast tour with the SMU Mustang Band. Keane, John “Johnny” Joseph (1911-1967) – Major League Baseball Manager – Born in St. Louis he grew up as a raved Cardinals fan. Keane never played professional baseball but joined the St. Louis Cardinals organization in 1938 as a manager of the Cards Class D (lowest) farm club. He worked his way up the ladder and eventually was the AAA manager for 10 years. Keane’s big chance came in 1959 when he was promoted to the Cardinals where he was named manager in 1961. In 1964, the Cards won their first National League Championship since 1946. They went on to defeat the New York Yankees in the World Series in seven games. Lipon, John “Johnny” Joseph (1922-1998) – Professional Baseball Player & Manager – He was from Ohio and debuted in 1942 as the shortstop for the Detroit Tigers where he played that year as well as 1946 and 1948-52. Lipon played for three other major league teams: Boston Red Sox (1952-3), St. Louis Browns (1953) and Cincinnati Reds (1954.) In 1959 he took up managing minor league teams for 30 of his next 34 years. Lipon managed the Cleveland Indians, Detroit Tigers and Pittsburgh Pirates farm clubs. Look, Garret Dawson “Sonny” (1919-2004) – Restaurateur – Sonny was one of those flamboyant, larger than life characters that Houston is so famous for. He was born in Caldwell, Texas and attended Brenham High School. At 21 Look bought a coffee shop on the town square that he sold before enlisting. In 1942 he joined the U. S. Navy as a cook 1st Class. Following the War he returned to Texas, moving to Houston and operated a coffee shop on Quitman Street (1946-8.) Look leased a location nearby naming it Sonny Look’s (1948.) At that time it was unlawful to sell alcoholic beverages in eateries so Look gave adult clients a free glass of wine. Outgrowing this space he moved to the “outskirts” of town, opening Look’s Sir-Loin House in the 6100 block of Westheimer Road (1959.) It was there he began wearing his outrageous sport coats. Expanding again Look opened Look’s Sir-Loin Inn on south Main near the Astrodome (1967.) It was the largest free-standing eatery in Texas and third biggest in America (37,000 sq. ft.) At these two locations diners were welcomed by a medieval knight mounted on a white stallion. To list his life time accomplishments would take an encyclopedia so we will only mention a few: President Houston Restaurant Association, a founder of the Hilton College of Restaurants at the University of Houston, founder of the Greater Houston Convention and Visitor Bureau and lifetime member and president of the Houston Livestock Show and Rodeo. Mafrige, Linda Halliday (1940-2003) – Home Economist & Author – A native of Ohio she graduated from Ohio State University with a degree in home economics. Mafrige moved to Houston in the early 1960s and went to work at Houston Natural Gas Corp. At that time the new hot gadget was the backyard gas grill which HNG just happened to sell. Mafrige was chosen to promote this new invention via demonstrations and appearances. She wrote the first cookbook on how to best use the grill. Mafrige was very active in civic affairs. She was president of the Harris County Home Economics Association, the 100 Club, Make a Wish Foundation and the Houston Live Stock Show & Rodeo to mention a few. NEW Marks, Emil Henry (1881-1969) – Rancher – He was born in Addicks, TX, the son of a German immigrant who arrived in Texas in 1833. At age 10 Marks went to work on an area ranch following the death of his father. In 1898 he felt he had learned enough to go out on his own and purchased his first Longhorn steer. By 1913 Marks was leading trail drives into Houston weekly. In 1917 he bought a section of land and opened the LH-7 Ranch. By 1950 Marks owned the largest private herd of Longhorn cattle in the world and was known as the “Longhorn King of Texas.” In 1952 he and three friends rode the first Salt Grass Trail Ride, an event that has become a Houston tradition. Marks street in southwest Houston near where the LH-7 was located is named for him. 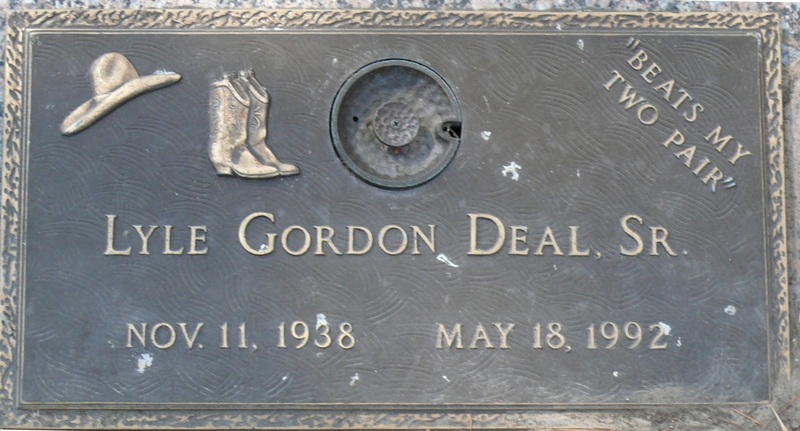 Mecom, John W. (1911-1981) – Wildcatter – Born in Texas he was raised in Liberty during the beginnings of the great Texas oil boom. In 1936 Mecom and two partners put up $700 each and borrowed an old wooden drilling rig. They gambled that other drillers had not drilled deep enough in the South Liberty oilfield. The men hit a bonanza. Within two years Mecom sold his interest in the field for $100,000, a staggering sum in the days of the Great Depression. He was on his way. Over the years his firm expanded both nationally and overseas. Mecom hit big fields in Galveston, Louisiana, Egypt, Saudi Arabia, Yemen and Oman. By 1957 he was the third largest independent operator after H. L. Hunt (Dallas) and Sid Richardson (Ft. Worth.) In 1961 Mecom acquired Reed Roller Bit, an oilfield service company. Lodging came next when he purchased and refurbished the Warwick Hotel (now Hotel ZaZa) on South Main Street. When the U. S. Government put the WW II Hitchcock Naval Blimp Base up for sale Mecom bought it and turned the property into a large cattle ranch. Nixon, Joan Lowery (1926-2003) – Author – She was born in Los Angeles and attended the University of Southern California earning a degree in journalism. In her lifetime Nixon published over 140 books in 20 different languages. Nixon’s genre was historical fiction, mysteries, and books for children and young adults. She earned many awards including four Edgar Allan Poe Awards from the Mystery Writers of America. 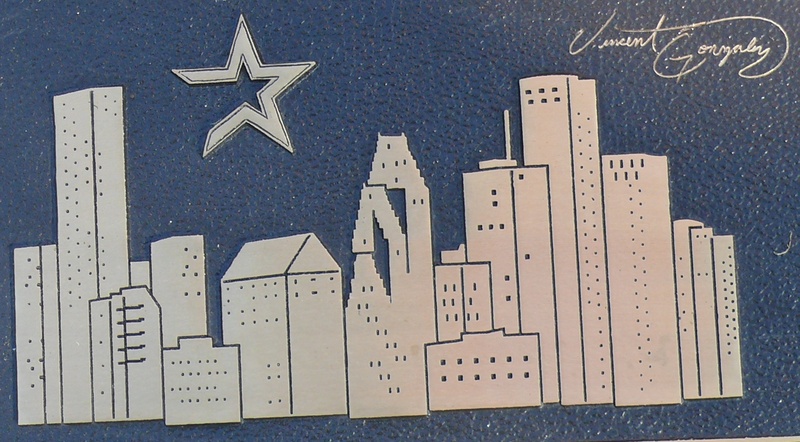 Parks, Eloise Eldridge (1934-2003) – Limited Edition Collectors’ Plate Expert – This Texan was born in Harlingen and moved to Houston following graduation from Texas A & I University. Parks bought her first limited edition plate in 1971. Soon she and her husband owned Eloise’s Collectables in Bellaire. They started a mail order business in 1976 and 10 years later began publishing catalogues about collectible plates. Parks was nationally recognized as one of America’s top experts on the subject. In 1982-3 she served as president of the National Association of Limited Editions Dealers. Parks also served on the board of the St. Joseph Hospital Foundation. Poage, Raymond “Ray” Coy (1940-1997) – Professional Football Player – Marks first met Ray Poage in 1960 on a Saturday morning during a football scrimmage at St. John’s School. Our coaches told the team that Poage was one of the best players we would ever see. That day he was playing fullback for the Lamar High School Redskins. Early in the scrimmage the Lamar linemen opened a hole big enough to drive a semi-truck through. The next thing Marks knew, he was laying on the ground, knocked out of breath. When he opened his eyes, Poage was kneeling beside him to see if Marks was hurt. That was the start of a long and wonderful friendship. Poage was born in Plainview but the family soon moved to Happy, Texas. He played fullback there and was recognized as one of the best players in Texas high school football. Lamar recruited Poage who helped the school win the state championship. Upon graduation in 1960 he signed with the University of Texas where he became an All-American with his photo on the cover of Life magazine. Poage was a 2nd round draft choice of the Minnesota Vikings as a tight end in 1963. He was 6”4” and weighed 208 pounds. Poage went on to play for the Philadelphia Eagles (1964-6), New Orleans Saints (1967-70) and the Atlanta Falcons (1971). Retiring from football Poage joined a brokerage firm where Marks worked. He later moved to the Coors Brewing Company’s Houston distributor. Regretfully, Poage died a tragic death at age 57. Pollet, Howard “Howie” Joseph (1921-1974) – Professional Baseball Player – This New Orleanian was signed in 1941 by the St. Louis Cardinals. Pollet was an excellent left-handed pitcher. The Cards sent him to their A1 Texas League farm club, the Houston Buffalos. In Houston he won 20 of 23 starts, had an ERA of 1.16 and 151 strikeouts. This performance earned him a spot on the Cards roster. In 1942 as a rookie his record was 5-2 with an ERA of 1.93. In 1946 Pollet won 21 games and 20 in 1949 where he led the National League in shutouts with five. He went on to play with the Pittsburgh Pirates (1951-3), Chicago Clubs (1954-5), Chicago White Sox (1956) and Pittsburgh Pirates again (1956). In 1959 he was named the St. Louis pitching coach. In Pollet’s last season (1964) the Cards won the World Series. He served as a pitching coach with the Houston Astros in 1965. NEW Poujol , Albert “Al” Charles (1923-2003) – Promoter of Horse Racing & Breeding – This native Houstonian graduated from St. Thomas High School in 1940 where he played football and was an all-state end. Poujol attended Rice University (class of 1945) on a football scholarship earning a degree. Then went on the University of Houston where he got his master’s in business in 1950. During WW II Poujol served in the U. S. Navy. He founded several manufacturing companies. 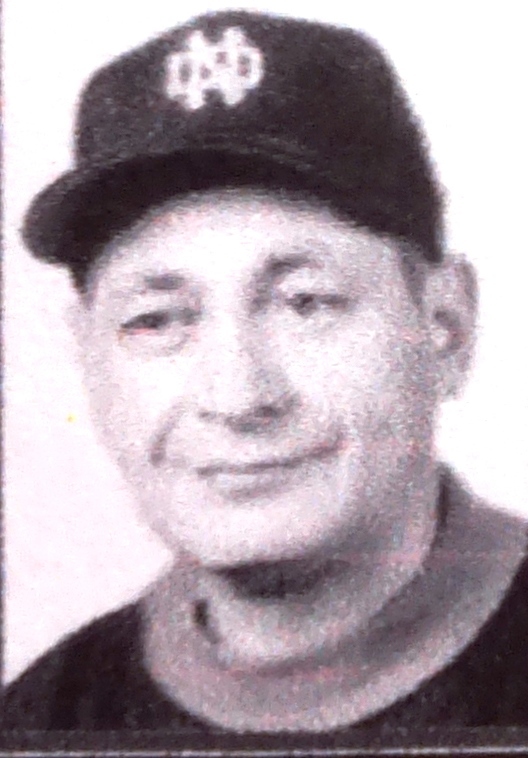 In Poujol’s spare time he was a Southwest Conference official from 1946 until 1982 (760 games.) Poujol also promoted horse racing and breeding in Texas for 36 years. As president of the Texas Horse Racing Association he was a force in reviving pari-mutuel betting in Texas. One of Poujol’s favorite thoroughbreds, Roman Dragon, won 30 races during his career in the 1970s. Poujol’s horses won 790 stakes races during his career, more than any other Texas owner. 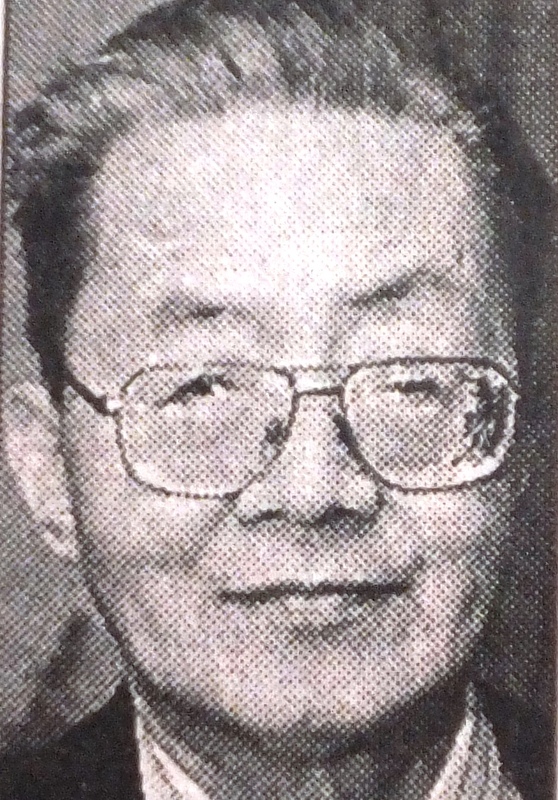 NEW Sham, Packey Sheung (1927-2003) – Restauranteur – He was a native of Guangdong, China who moved to Hong Kong in 1959 to take a position as assistant director of programing for the HK Commercial Broadcasting Company from 1959 until 1969. That year he decided to immigrate to Houston in order to improve opportunities for his children. There he became associated with Tien Tien Chinese Restaurant in downtown Houston. In 1972 Sham moved to Victoria, Texas and opened Abacus Chinese Restaurant. It was the first Asian restaurant in that part of the state. At that time most inhabitants of Victoria had never seen a Chinese much less tasted their cuisine. Sham operated Abacus for 18 years prior to retiring. NEW Thornton, E. H. (1910-2005) – Politician & Lawyer – Born in Houston, the family moved to Galveston in 1920. Thornton was raised there and graduated as valedictorian of his class at Ball High School in 1927. He earned a law degree from the University of Texas in 1932 and joined a legal firm in Galveston. From 1935 until 1941 Thornton represented Galveston County as a Democrat and served as chairman of the House Appropriations Committee from 1939-41. He served as an officer on the aircraft carrier USS Card during WWII. 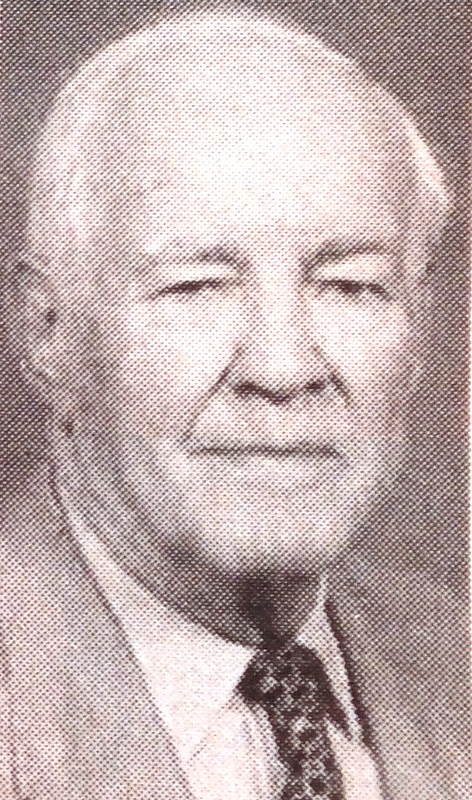 Thornton moved to Houston in 1950 and joined a local law firm. His friend Governor Allan Shivers appointed him to serve on the Texas Transportation Commission the following year. Thornton was on the board of the Texas Battleship Commission. In 1959 one of the Galveston-Point Bolivar ferries was named in his honor. NEW Vandiver, Frank Emerson (1926-2005) – Historian & Author – An Austin native he joined the U.S. Army Air Corps during WWII as a historian. Following the War Vandiver earned a Master of Arts degree from the University of Texas (1949) and a Ph.D. from Tulane two years later. By 1958 he was a professor at Rice Institute (now University.) Over the next few years Vandiver served as a department chair, Master of Brown College, provost and vice president of the Institute. He was the acting President 1969-70. In 1979, Vandiver was named president of what we now call North Texas University. Two years later he became president of Texas A & M, serving until 1988. Vandiver is most remembered as an author and expert on the War Between the States. He wrote or edited 24 history books. Vandiver’s most well-known book is Black Jack: The Life and Times of John J. Pershing for which he earned a runner-up for a National Book Award. NEW Wilson, Chris (1921-2004) – Actress, Director and Producer – A native Houstonian she graduated from the University of Houston in 1941 with a degree in drama. Wilson performed for two years in the 1944 Broadway hit Follow the Girls with Jackie Gleason. Returning home she became a founding member of the much beloved Alley Theater in 1947. During Wilson’s career she performed on radio, TV and film. She is best remembered as the star of the 1965 world premiere of the Alley’s Paul Zindel’s Pulitzer Prize-winning play The Effect of Gamma Rays on Man-in-the Moon Marigolds. In 1986 Wilson founded the Actors Theater of Houston where she served as producer and director until 1996. NEW Wilson, Clyde Arthur, Jr. (1923-2008) – Private Eye – If Houston ever had a character like Mickey Spillane’s Mike Hammer or Dashiell Hammett’s Sam Spade it was Clyde Wilson. He was born in the city, only got through the ninth grade and was drafted in WWII by the U.S. Army. Wilson landed in Normandy in 1944, was shot twice (earning two Purple Heart Medals and was transferred to the Army Air Corps (now U. S. Air Force.) Following the War he continued to serve in intelligence in the Middle East and Korea. Returning to Houston Wilson opened his private detective firm and went on to crack some of the City’s toughest cases over the next six decades. Among the most famous were: negotiating the release of American hostages from Ethiopia for Tenneco, uncovering mishandling of funds at Galveston’s Moody Foundation and theft and fraud at the Herman Foundation. One of his highest profile cases was uncovering adultery charges that led to the breakup of the marriage of Donald and Ivana Trump. NEW Woodeshick, Harold “Hal” Joseph (1932-2009) – Professional Baseball Player – Born in Pennsylvania he was a left handed pitcher who was first drafted by the Detroit Tigers in 1956 (where he returned in 1961.) Over the next few years Woodeshick played for: Cleveland Indians (1958), Washington Senators (1959-61), Houston Colts/Astros (1962-5) and St Louis Cardinals (1965-7.) His stint with the Cards earned him a World Series ring in 1967. Woodeshick was on the roster for the Houston Colt 45s on inaugural Opening Day in 1962. In 1963 he was the Colts first legitimate closer, winning 11 games with 10 saves and a 1.97 ERA. More postings to come soon.